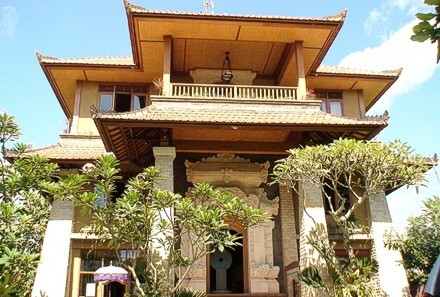 Karuna Bali—YAYASAN KARUNA BALI —is a non-profit, non-sectarian, non-religious Indonesian organization, created to assist in providing education and individual growth opportunities to the people of Bali and elsewhere. The operational centre for Karuna Bali and Campuhan College is located on the main Campuhan-Sanginggan highway into Ubud opposite the Indus restaurant. Twenty four Indonesian employees work in administration, project management, marketing and the teaching faculty. Karuna Bali goes beyond traditional teaching of its students. Based on the conviction that each student carries within himself and herself an innate knowing of their natural skills and creativity, our intention is to offer them the opportunity to direct their energy into these areas and thereby grow into their full potential. Karuna Bali uniqueness lies in its innovative use of the student body for administrative and management support for humanitarian projects the organisation supports. Responsibilities undertaken by the students provide them an opportunity to put into immediate practice skills such as accountability, team work, and creativity. Students become the example for other students, the most powerful language young people respond to. Our role as an educational institution is to provide environment wherein the knowledge, skills and guidance leads students and indeed the emploees into the discovery of their talents, gifts and skills so that they may contribute them to their communities and the world and lead a life of fulfillment. No other education program offers its students such an opportunity to prove themselves to themselves and thus build confidence in their abilities. This is where our Leadership Training starts: in the minds and hearts of the students themselves.